It is difficult growing up in America today. Youth today are challenged by Secularism, which denies or ignores the reality of God. The cultural focus is on the natural order of things as the only reality, pressuring youth to live in a way that God is marginal and insignificant to their daily existence. 217Faith - Power, Love, Sound Mind - provides an answer to the tide of Secularism that is destroying the lives and faith of American youth. It is difficult growing up in America today. Youth today are challenged by Secularism, which denies or ignores the reality of God. The cultural focus is on the natural order of things as the only reality, pressuring youth to live in a way that God is marginal and insignificant to their daily existence. 217Faith - Power, Love, Sound Mind - provides an answer to the tide of Secularism that is destroying the lives and faith of American youth. Below we showcase some scenes from the most recent 217Faith event, and introduce the team of leaders who are so passionate about pouring into, and equipping the next generation of faith. 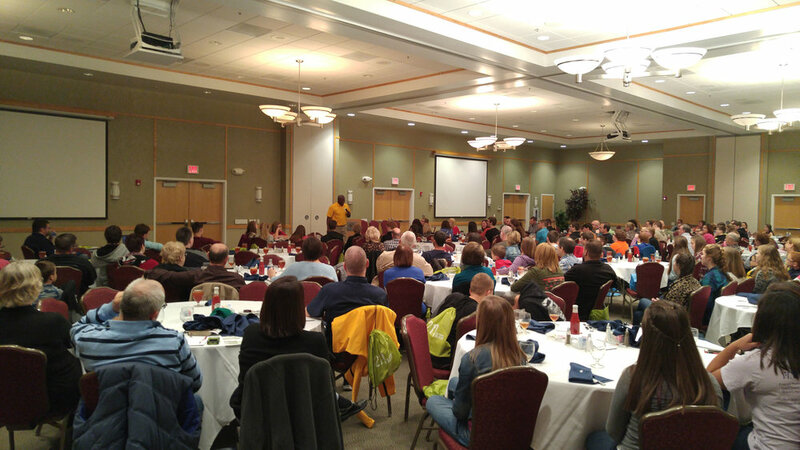 Over 250 attended the last 217Faith event to equip the next generation of faith at the Bridgeport Conference Center. 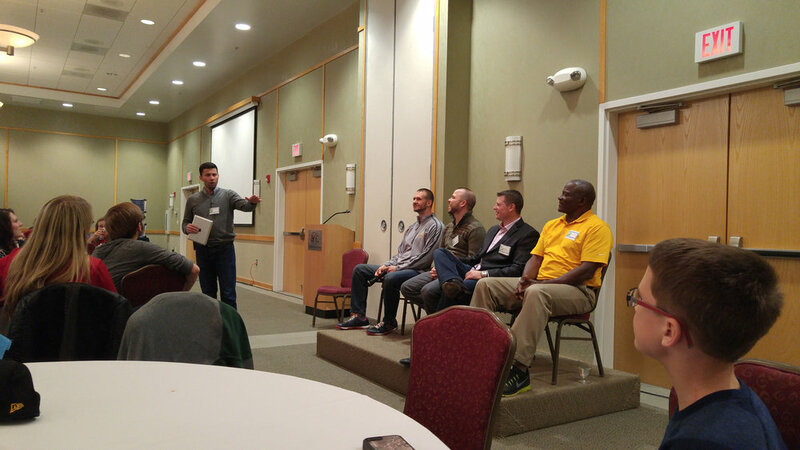 Adults were not to feel left-out as they enjoyed leadership and discipleship training from 217Faith team members Chip Pugh, Willie Franklin, and Anthony Rex. Lasting relationships make all the difference. Who says defending the faith can't be fun? Anthony Rex introducing the Leadership Team and speakers. Breakout sessions with Matthew Sokoloski are tailored to youth apologetics and laying the foundation for critical and logical thinking from a Biblical worldview. The fundamental thing is to realize the power in 'who' gets to define to a child who and what they are in this universe. Everything else pales in comparison. 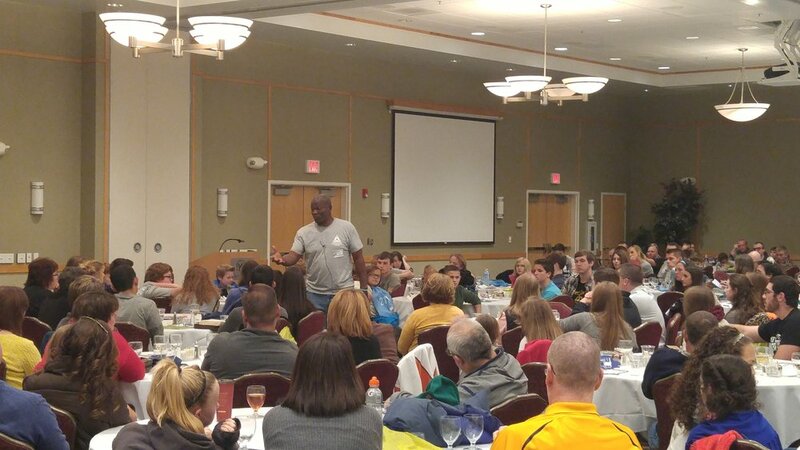 Learn how you can Bring A 217Faith Event to Your area! Tell us where you attend. Leave us the best # to contact you by. Tell us how you became interested in the 217Faith ministry. Thank you! We can't wait to connect with you about 217Faith!